Dolby Atmos ® Audio Addicts LLC. Audio Addicts and Dolby Atmos® transports you from an ordinary moment into an extraordinary experience with breathtaking, multidimensional sound that flows all around you. Up to now, cinema sound designers have had to mix independent sounds together into channels for soundtrack creation. If a scene required, say, a helicopter taking off, that sound had to be assigned to an individual channel and mixed together with other sounds. While that helicopter could move across channels, it couldn’t go above you. You wouldn’t hear it as you would in real life. 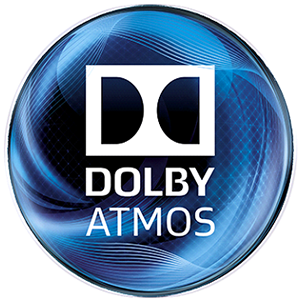 Dolby Atmos® is the first audio format based on audio objects rather than channels. In Dolby Atmos®, any sound—the helicopter, a blaring car horn, a yelling child—can exist as an independent audio object, free of channel restrictions. It can be placed and moved anywhere, including anywhere overhead. Filmmakers can now focus on telling the story. They can place sounds where they would occur naturally in a scene, rather than compromising the artistic intent by having to place them into channels. Sounds move in multidimensional space—flowing above and around you in step with the visuals to bring a new sense of height and reality. Dolby Atmos® puts you in the middle of the action—in ways you have never before experienced. And it adapts to any playback environment—in the cinema, at home, or on the go. Supports up to 128 simultaneous independent audio objects in a mix for rich, realistic, and breathtaking sound. Descriptive metadata captures all the director’s intent and provides customized playback for the cinema, home theater, and mobile device. Advanced Dolby® codecs and Dolby Labs sophisticated rendering process scale and adapt the original cinema experience to your home theater, from eleven, nine and seven speakers to as many as 34, recreating the intent of the filmmaker. Dolby Atmos® content is fully compatible for playback on conventional stereo and on 5.1- and 7.1-channel systems.